Although nylon and polyester bean bags are the most popular types, many people are now saying that the comfort and feel of a Microsuede bean bag chair make it incomparable to any other. Because nylon and polyester have glossy sheens, it is not difficult to understand how to clean these fabrics. In most cases, they can be cleaned only by wiping the surface with a damp cloth. Microsuede, however, has a soft, luxurious feel, similar to that of natural suede. With so many variations of the fabric now available, cleaning Microsuede furniture takes a little research, know-how, and experience. Micro Suede is a type and brand of microfiber, which is a synthetic fabric spun from super-thin strands of polyester or rayon. The strands are thinner than natural fibers are, and when woven, they can be made to resemble other materials, including silk and suede. Microsuede can be used to make a large number of consumer products, such as clothing, bedding, tablecloths, furniture, furniture covers, and insulation. The first rule of cleaning a Microsuede bean bag chair is to not mistake it for natural suede. Natural Suede is a type of leather, and it cannot be cleaned in the same manner as a synthetic material. Another mistake many people make is believing that Microsuede is stain proof. Although it is water resistant and stain resistant, it can stain given the right conditions. Saturating it with water or cleaning solutions may make the stain worse or cause other blemishes that are harder to clean. Before you clean your Microsuede bean bag chair, you must read the label. The label will include a cleaning code, and it may give you instructions for proper care. In most cases, the tag will be on the inside of the cover along the seam, but some bean bags may have the label on the outside. W – You may use only water-based cleaning solutions, including liquids and foams. S – Use only solvent-based cleaning solutions on this furniture. S-W – You may use either solvent-based or water-based cleaners. 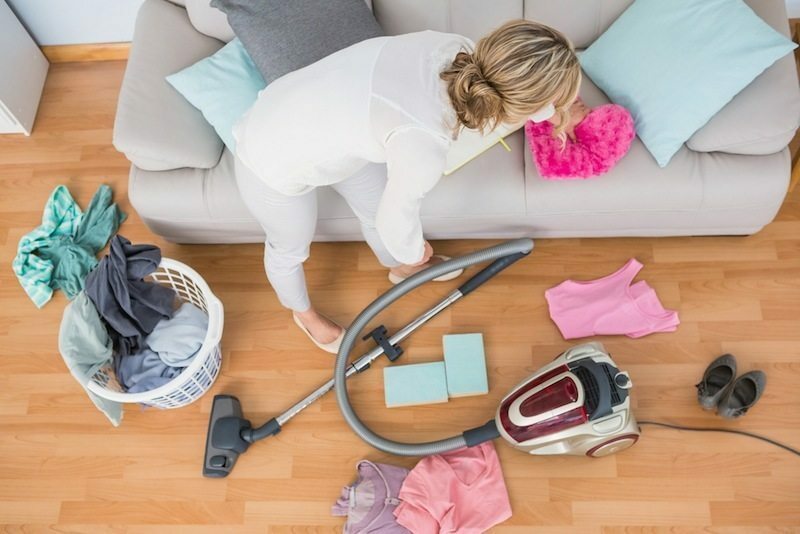 X – The consumer can not clean other than vacuuming. Dry cleaning may be possible. No matter which code is on the label, you should never use any of the following cleaners. Doing so may cause irreparable damage. To make cleaning easy, you can buy a commercial cleaning product formulated specifically for Microsuede or microfiber, but be sure you have the correct cleaning solution for the code on your label. Brush or vacuum the dirt from the surface of the bean bag. Lightly mist the bean bag with warm water. Blot the damp area with a clean sponge or cloth, but refrain from wiping it. If it is not clean, repeat steps two and three. When the bean bag is clean, blot the remaining moisture with a dry cloth. If you spilled liquid on the bean bag, dab it with a clean, dry cloth or a few paper towels. Do not rub the liquid into the bean bag because this could cause it to penetrate deep into the Microsuede, creating a permanent stain. Allow the bean bag to dry. When the bean bag is dry, go over the surface with your vacuum’s brush attachment to remove any dirt. Fill a bucket with about one gallon of water and add a few drops of liquid dish soap. Mix the soap into the water until suds form. Use a clean, damp cloth to scoop some of the suds out of the bucket. Lightly dab the Microsuede bean bag chair with the sudsy cloth. If the bean bag is still dirty, dip the cloth into the water until it is damp. Then, lightly wipe the surface of the cover using circular motions, but take care not to saturate the fabric. Blot the wet area with a clean, dry cloth until it is dry. After it is dry, run a soft brush over the surface of the bean bag to align the fibers. Dry detergent – Vacuum the bean bag to remove any dirt, and lightly brush the dry soap over the stained area. Then, use a vacuum to remove the dry detergent to remove the stain. Lysol – Lightly spray the stain with a can of aerosol Lysol, and blot it dry with a clean cloth. Rubbing alcohol – Dampen a cloth with a small amount of rubbing alcohol, and blot the stained area with the cloth. Allow it to air dry. If the outer shell is removable, check the care instructions on the tag to see if it can be machine washed. Always clean spills as soon as possible for best results. If it gets wet, dry the cover with a hair dryer on the lowest setting. If you’ve tried everything, but the stain remains, call a professional upholstery cleaner.